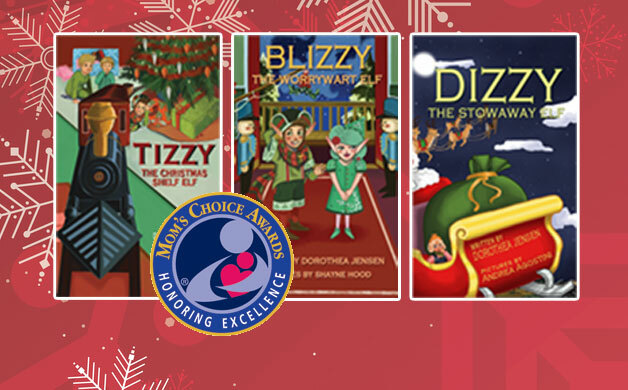 Born in Boston, Author of Tizzy, the Christmas Elf; Blizzy, the Worrywart Elf; and Dizzy, the Stowaway Elf and winner of a Mom’s Choice Award! Q.brWhen did you start writing about Santa’sbrIzzy Elves? Q.brWhen did you write the two sequels? mebrhow fleeting life is, and inspired me to write while I still have time. Q.brWho is your target reader? thatbrchildren probably don’t know and they will need an explanation from an adult. youngbrreaders over the years have stated that they lovedbrthe interesting old words. Q.brHow did you come up with the names forbrthe elves? presents.brThen it occurred to me that they are all known as Santa’s Izzy Elves. 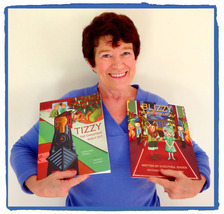 Q.brWill there be stories for all of the IzzybrElves? Bizzy,brand Fizzy. Just have to carve it out into poems. Q. Is writing poetry difficult for you? thebrright rhythm, and use it to shape my line, but I don’t need to do that verybroften. Q.brWho are the boys in your Izzy Elvesbrstories? thinksbrthis establishes a precedent for his claim. upperbrbunker in real life and Drake, the lower bunker, apparently yearns to be topbrdog. popbrinto my head and wake me up. Not far from the truth. awhilebrto figure out how to put them into a story. Q.brWhy are you publishing these storiesbryourself? frombrart school and was from Manchester, New Hampshire, not far from where I live. shapebrthe marvelous images that she conjured up of all my elves. termsbrof the story, but Geordie stayed transparent. Ibrhave discovered that it is much more satisfying to work directly with anbrillustrator. Q.brWill Michelle Alfonso be illustrating thebrrest of the stories? Unfortunately, her schedule did not allow her to undertake more stories at thisbrtime. Q.brWhy did you decide to record audiobooksbrof your own work? hadbra wonderful time reading my stories aloud there. Q.brDo you have plans for merchandise basedbron these stories? planningbrto do an app for each story. After that, we’ll see! Q.brHow can I buy these stories? frombr10-12 a.m. at Polkadots Gift Boutique, 902 Main St., Contoocook, NH. downloadablebraudiobook is available at Amazon.com, Audible.com, and iTunes. amazon.com/author/dorotheajensen. Paperbacks and Nooks are available at barnesandnoble.com.